The protection of your family members is one of the most important things in the world. A sudden fire is a very real possibility in any home, but smoke alarms are extremely effective at alerting homeowners when there is a problem and keeping your family and your home safe from fire and smoke inhalation. State and federal laws mandate that smoke alarms be installed throughout any home or building. If you need a new smoke detector installed, we recommend the electrical services of a trained electrician, like the experts at Electrical Connection, Inc. An electrician can wire your smoke detector into the wall, so that you won’t have to worry about any potential problems from a compromised battery. However, a batter backup is still used in case of a power outage. If you’re wondering how these life-saving units work, we offer a quick explanation in this guide. There are two different types of smoke detectors: photoelectric and ionization detectors. Photoelectric detectors work under a fairly simple principle but are not often used in homes. This is because photoelectric detectors are not good at detecting small fires, an important feature in any home, and they may be more expensive. Photoelectric detectors contain two important components, a light source and a photo-detector, positioned at a 90-degree angle from one another. A beam of light runs straight across the unit over the sensor. As smoke fills the unit, it scatters the light beam, thus causing some light to hit the sensor, which then triggers the alarm. However, a photoelectric detector only works with thicker clouds of smoke. Ionization detectors instead detect smoke particles so that they go off at the first sign of trouble. In this type of system, ions move back and forth between two plates inside of the detector. These ions carry a charge, but as smoke particles enter the chamber, they attach to the ions and neutralize them. The detector senses that the current has stopped, and sends out a signal to the sensor which in turn activates the alarm. 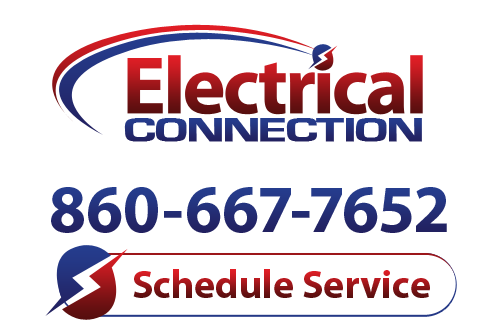 If you need electrical services in Glastonbury, look no further than the skilled technicians at Electrical Connection, Inc. Call us today and make an appointment for your next service.